A Florida mother is in critical condition after being thrown for the hood of a van during a domestic fight over her 9-year-old son. Beverly Smith jumped on her estranged husband’s vehicle and the man, Travis Stephens, gunned it and turned quickly to hurl the woman to the ground. Smith, 34, sustained major head trauma and was air lifted to Lakeland Regional Medical Center in critical condition. Stephens, 38, was arrested and charged with aggravated battery domestic violence. 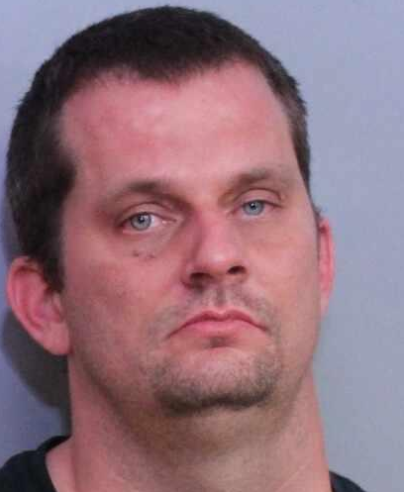 Lake Wales police said Stephens began to argue with his estranged wife over the custody of their son after he removed the boy from the gym following the boy’s basketball practice. The incident happened just before 6:30 p.m. Tuesday at the Kirkland Gym located at 409 North 3rd Street. Stephens put the boy inside the GMS Safari van and locked the door. Despite the coach, Burney Hayes, trying to intervene and calm the situation, Smith jumped onto the hood of the van and roof to stop Stephens from leaving. Instead, the man accelerated and turned sharply to toss the woman to the ground. He continued and left the scene. Police said Stephens was later located in Winter Haven and the 9-year-old boy was okay. According to Polk County court records, in 2010, Beverly was granted an injunction against Stephens for protection from domestic violence. Lake Wales police asked that anyone with additional information in the case contact Det. Ben Metz at 863-678-4223, or to remain anonymous, contact Heartland Crime Stoppers at 1-800-226-TIPS.